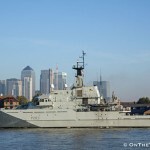 143-METRE-LONG Japanese training ship JDS Kashima sailed down the Thames yesterday afternoon. 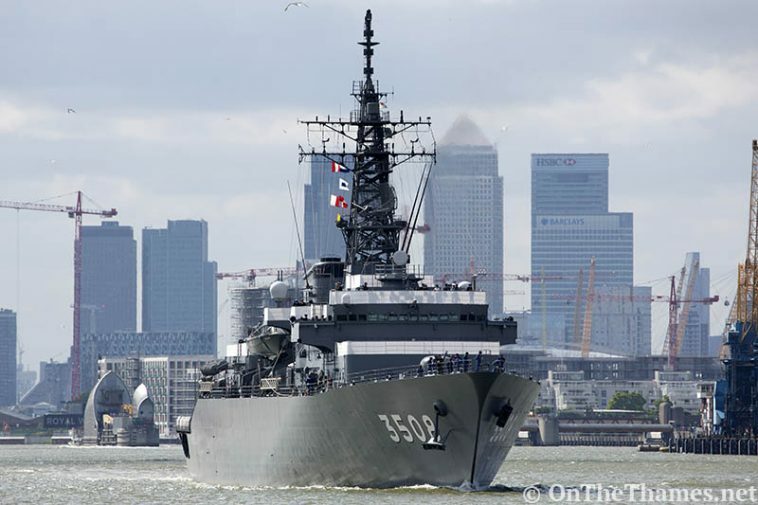 Kashima arrived in London on Sunday for a three day visit with graduate students on board from the Marine Self Defense Force. 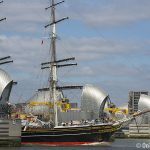 Tower Bridge lifted for the departure of the JDS Kashima at 1430 with two Kotug vessels alongside to assist the ship out of the Pool of London. 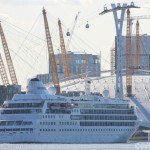 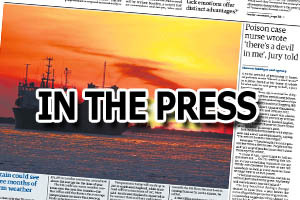 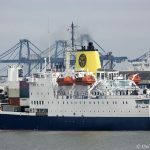 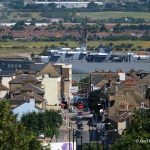 It was the first time that the ship had been in the capital and she hosted visits from members of the public on Tuesday. 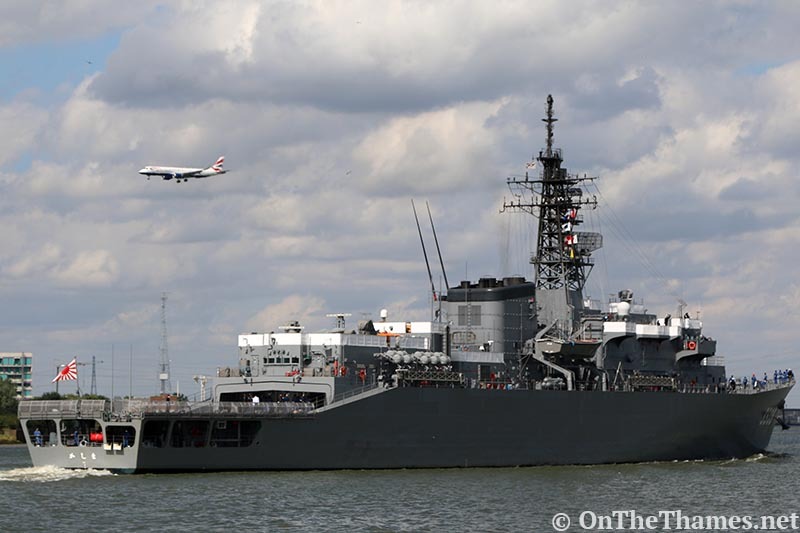 Kashima says "sayonora" to the capital as she heads down the river. 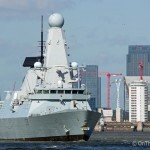 The Thames Barrier, Canary Wharf and the O2 in the background as JDS Kashima leaves London. 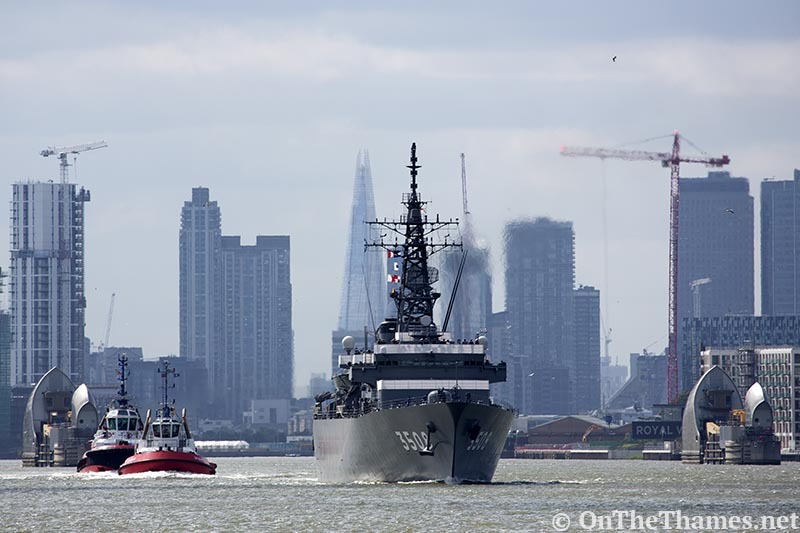 Landing of the Rising Sun: A BA plane approaches City Airport as the Japanese training ship continues down the Thames.